Stainless Steel pressure storage vessel with swing top closure. The perfect companion for those that like to make beer, drink beer or think beer. Forget wasting time cleaning glass bottles & filling, then waiting weeks before you can drink your home brew. With carbonating in keg, then transferring to the S/S Growler, you can be drinking your liquid nectar within a few days. Simply fill the S/S Growler, and enjoy the contents over a few days ( or sooner if you're thirsty), then rinse clean and refill again, and again - EASY! If you haven't quite made it to home brewing yet, just take the S/S Growler down to your local craft brewery to fill. No more plastic takeaway bottles filling up land fills or the ocean. S/S Growlers are the perfect companion for the new generation of beer consumers. Customise your own with your own design, stickers, painting, branding etc. 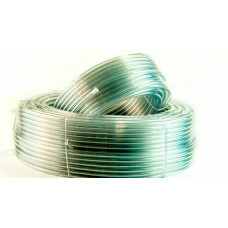 Clear 4mm ID Ledavin PVC tubing perfect for gas or beer line. Capable of fitting a standard disconnect barb. 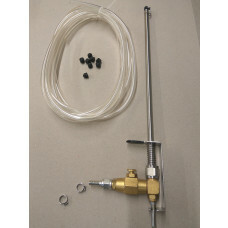 Adjustable Pressure Relieve Valve with Gauge (Spunding Valve). Relieves pressure while filtering from one keg to another or allows you to accurately naturally condition in the keg by setting the desired venting pressure. Adjustable up to 100kPa (15psi). To adjust the pressure you need to wind/unwind the end of the valve. 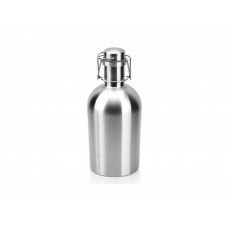 The Ultimate Growler is made from 304 Stainless Steel that is completely impervious to oxygen and sunlight (UV) meaning your precious amber liquid is in the absolute best storage container possible. 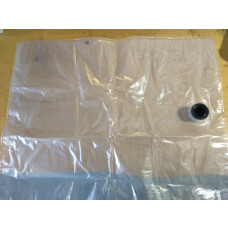 The Growler also comes with double wall vacuum insulation, helping to keep your beer cold for hours. The post on this unique carbonation cap has been machined to fit BOTH the black/liquid and grey/gas ball lock disconnects. This carbonation cap also includes a barbtail on the underside so you can attach some beer line to act as a dip tube. A hose clamp crimping tool made from hardened steel with an anti-slip rubberised grip.